If you are currently considering buying or selling a home in Boulder, this is the section to be in. 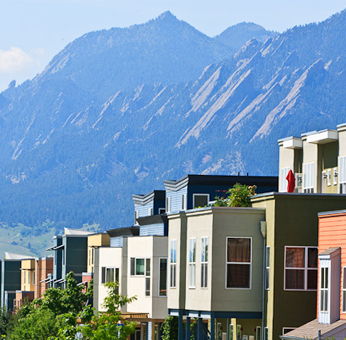 The Jennifer Egbert Real Estate team will provide you all of the resources you need to better understand neighborhoods, businesses that flourish and the community focused culture in Boulder, Colorado. Stay updated on the most current listings that the Boulder real estate market has, to offer. Don’t be the last to know. Use the ‘Buyer Services’ or ‘Seller Services’ to gain more knowledge and helpful strategies on how to act in today’s Boulder real estate market as a buyer or seller. Remain on top of your game by constantly checking in on real estate market updates. The Economic Snap Shot articles, provided by RE/MAX Alliance on Walnut monthly, are a great resource. Visit our ‘Market Reports’ page for quick snapshot access. Aside from gaining valuable knowledge as a potential seller or buyer in the Boulder real estate market, get a professional value estimate from our Team, free, with no obligation by contacting us at any time. For more information visit the ‘Real Estate Reviews’ under our ‘Resources’ page. Also read tips on smart financing, and calculate your mortgage using our ‘Mortgage Calculator’ to get an estimate of your monthly house payments based on the value of the home you are interested in. Finally don’t miss out on browsing through our favorite affiliates as resources to take your ideas from ‘visualize’ to ‘realize’. Thinking about relocating to Boulder? Watch and enjoy Jennifer’s “Welcome to Boulder” video that Jennifer created to visually highlight the best of Boulder. Looking for the ultimate local guide to Boulder, Colorado? Visit Jennifer’s Blog, Play, Dine, Live Boulder.